Karl Lutchmayer studied at the Royal College of Music under Peter Wallfisch and John Barstow and undertook further studies with Lev Naumov at the Moscow Conservatoire. His research interests include the music of Liszt, Alkan, Busoni and Enescu; The Creative Transcription Network; reception theory, and the history of piano recital programming. He is equally renowned as a concert pianist and a lecturer. 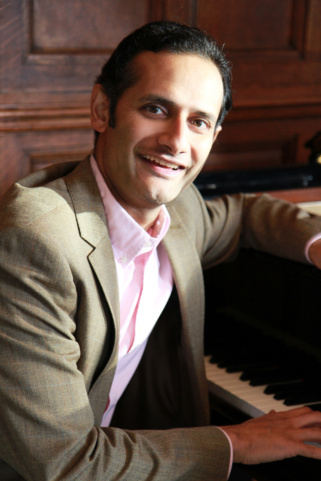 A Steinway Artist, Karl performs across the globe, but he also holds an academic professorship at Trinity College of Music, London and is a regular guest lecturer at conservatoires around the world, including the Juilliard and Manhattan Schools in New York and the Mehli Mehta Foundation in India, his family home. He was recently awarded the Bharat Gaurav lifetime achievement award. His London lecture-recital series, Conversational Concerts, continues to garner critical and public acclaim, and following his landmark recitals celebrating the Liszt and Alkan Bicentenaries, he has received invitations from 4 continents to give lecture-recitals. Karl has given recitals and concertos throughout the world, working with conductors including Lorin Maazel and Sir Andrew Davis, and performed at all the major London concert halls. He has broadcast on BBC Radio3, All India Radio and Classic FM, and is a regular chamber performer. A passionate advocate of contemporary music, Karl has also given over 90 world premieres and had many works written especially for him. Karl resides in London, where he is sometimes spotted in his alternative incarnation as keyboard, percussion and theremin player in the prog rock band The Connoisseur.